From the small Texas town of Killeen, Oveta Culp Hobby grew up into a remarkable woman, serving her country and opening doors for women in the military. She helped establish the Women’s Army Corps and received a distinguished service medal – the first woman in the army ever to do so. She also served as Secretary of Health, Education and Welfare under President Dwight D. Eisenhower. The first biography of this noted Texan is finally in bookstores: “Oveta Culp Hobby: Colonel, Cabinet Member, Philanthropist,” written by Debra Winegarten. The Texas Standard’s David Brown spoke with Winegarten about Hobby’s achievements and obstacles. As a child, Hobby exhibited an interest in politics and the law. “When she was 10 years old, after school, she would stop by her father’s law office, and just for fun, she would read the congressional record,” Winegarten says. Hobby didn’t receive a typical education since her father, a member of the Texas Legislature, pulled her out of high school at the age of 16. “He thought that actually taking her down to Austin to go to the Legislature would be a better education than what she was getting in high school,” Winegarten says. Hobby audited law classes at the University of Texas at Austin – but she wasn’t able to obtain a law degree since women were not admitted into the law school. Outside of law and politics, Hobby actively supported the Houston community and worked to lead a media empire that included The Houston Post. Despite her achievements Hobby left the Department of Health, Education and Welfare during a time of controversy. During the 1950s, several pharmaceutical companies were making polio vaccines, but one company accidentally had some live virus slip through. Overall, Hobby looked for ways to serve her country and to make a difference. 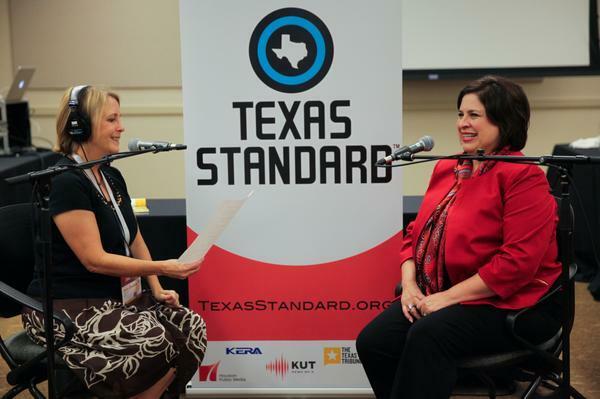 [/media-credit] Debra Winegarten speaks with the Texas Standard’s David Brown.